Jordan Brand continues to provide us with hybrid editions of shoes that belong to their ever-famous Air Jordan numbered series. This May, another one is set to come, which is expected to get some attention, the new edition of the Jordan 1 Flight Mid. Inspired by the shoe that started it all, the Air Jordan 1, the Jordan 1 Flight Mid will be coming out in Cool Grey/White-Team Orange colorway. 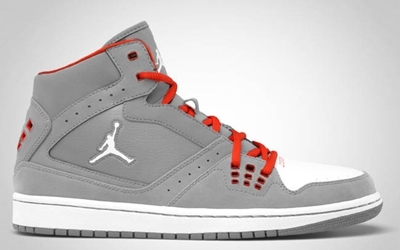 The kick features a high-top edition of the Air Jordan 1, which has a cool grey upper part and outsole enhanced with touches of Team Orange on the lace and white on the Jumpman logo and midsole. Watch out for this one this May!